This is an oldy but a goody soup recipe from last year SoupaPalooza 2012. 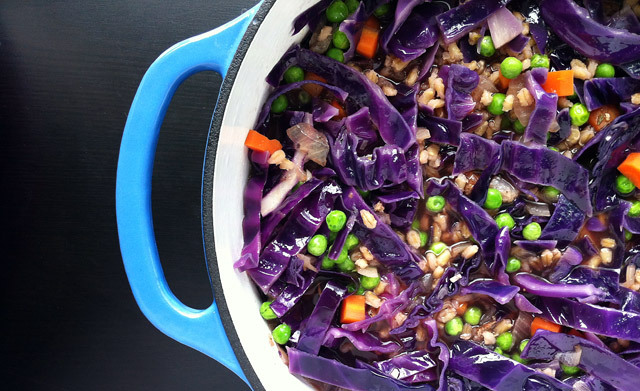 An easy, hearty, healthy recipe to start 2013! I hope you had a great Happy New Year. I hope you feel happy, healthy, and are enjoying life! May it be a full and wonderful year for you and your loved ones. Come join SoupaPalooza at TidyMom and Dine and Dish sponsored by KitchenAid, Red Star Yeast and Le Creuset! This is a quick recipe, which is a bonus for mid week dinners or meatless Mondays! 1. In a Dutch oven, or large pot add the olive oil over medium heat, then add the onions. Cook for 10 minutes, stir occasionally. Add the garlic, cook until fragrant, about 2 minutes, stir. Add the stock and barley, bring to a boil, then reduce to a simmer over low heat. Add 1 tsp of salt, the thyme and oregano. Cover and cook for about 30-40 minutes. 2. 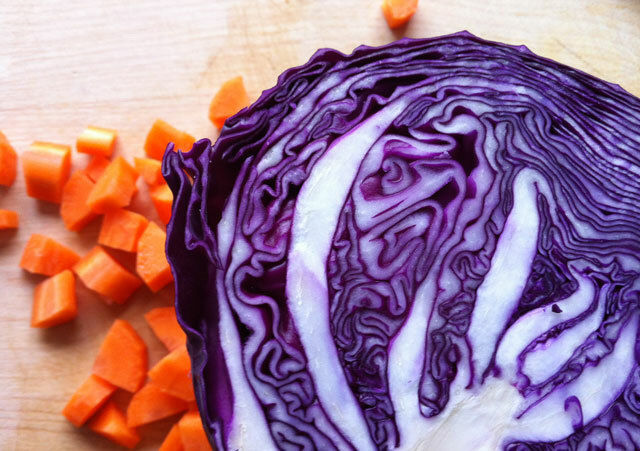 Add the cabbage, and carrots, cover and cook for about 10 minutes. Add the peas. Check the seasoning! Add 1 tsp fresh ground black pepper, and check the salt, does it need more? I added about 1/2 tsp now. Stir and you are done and ready to serve! 3. Serve with some yummy bread. If you want some meat in it, add some shredded chicken, or chicken meatballs, or whatever you may like! oh and fyi… leftovers are ahhh mazing! What pretty colors for such a comforting soup! Thank you so much, Elise. I appreciate it. And thanks for stopping by!